A man accused in a crash that killed a bicyclist and hurt another on the Rickenbacker Causeway this year accepted a plea deal Tuesday. Alejandro Alvarez will serve two years in prison followed by two years of house arrest. He will then be on probation for 10 years. If he went to trial and was convicted, he faced up to 40 years in prison. According to the Miami-Dade police report, Alvarez was driving a 2014 Volkswagen Jetta, registered in his father's name, south on Crandon Boulevard in the inside lane shortly before 5:30 a.m. Jan. 21, when the car drifted into the bicycle lane. Walter Reyes, 49, and Henry Hernandez, 40, were riding their bicycles when they were struck by the car. Police said Alvarez then fled the scene. "It was very tough for all of us," Reyes' daughter Jennifer told Local 10 News outside the courtroom Tuesday. "The holidays are going to be a little hard, but this helps us come closer together as a family. I can never truly hate him, but I honestly don't think I could forgive him for what he has done." Reyes was pronounced dead at the scene. Hernandez was taken to the emergency room at Mercy Hospital in serious condition. About 20 minutes later, the report said, Alvarez returned to the scene and turned himself in to police. "It was me," Alvarez told police as he got out of the car, according to the report. "I was the one that was involved in the accident. I was scared and I fled. I drove down to Harbor Drive, parked my vehicle and called my mother." An officer noticed a strong smell of an alcoholic beverage emanating from Alvarez's breath, bloodshot watery eyes, slurred speech and that Alvarez was "hysterically crying," the report said. 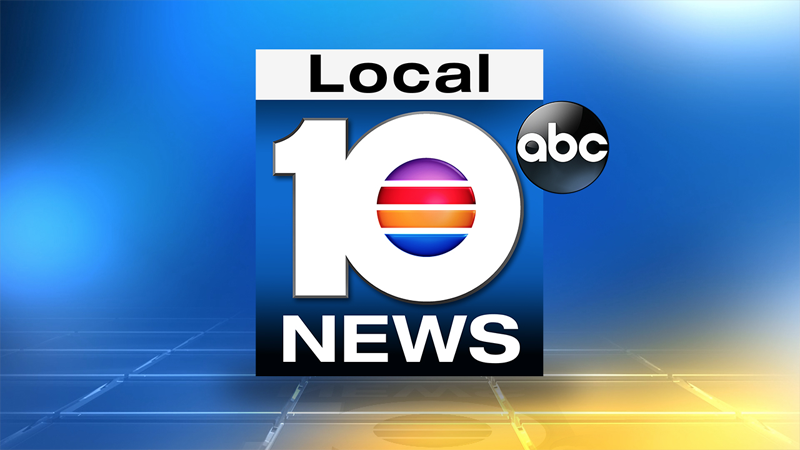 Alvarez told police he was out with friends at a club in Miami Beach. He had left about 2:45 a.m. to take his friends home and returned to the club by himself. 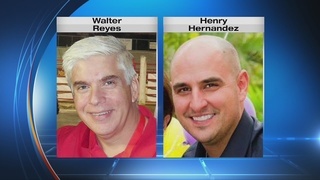 Jan. 21 : Walter Reyes was killed and Henry Hernandez was injured in a hit-and-run crash while they were riding their bicycles on the Rickenbacker Causeway. Jan. 21: University of Maryland student Alejandro Alvarez was arrested later that day. Miami-Dade police said Alvarez was out friends at a club in Miami Beach and was driving home when he struck the bicyclists. Police said Alvarez initially drove home and tried to make it look as though the car had been burglarized, but he eventually returned to the scene. Jan. 28: Richard Parsons, 22, was injured in a hit-and-run crash while he was walking to a Metrorail station in northwest Miami-Dade County. Feb. 7: Martin O'Connor, a tourist from Ireland, was struck and killed in a hit-and-run crash in North Lauderdale . Broward Sheriff's Office detectives said Richard Jennings, who was driving his girlfriend's BMW, fled the scene but was arrested at his Hollywood home later that day. Feb. 10: A silver Honda CR-V struck a woman as she was crossing Northwest Second Court in Miami's Little Haiti neighborhood. Feb. 12: Miguel Morales Ixmata was crossing Bird Road in southwest Miami-Dade County when he was struck by a car and then run over by another vehicle , both of which kept going. Feb. 13: An off-duty Miami police sergeant was injured in a hit-and-run crash while riding his motorcycle. Feb. 14: The hit-and-run driver "left me there to die," Sgt. Marvin Sanders, a 25-year veteran, said from his hospital bed . About 4:30 a.m., Alvarez left the club and drove to his parents' home in Key Biscayne. Alvarez told police as he drove through the curve on Crandon Boulevard, he was changing a song on his iPhone that was connected to the car and looked away from the roadway, the report said. Alvarez told police he struck the bicyclists and kept driving, the report said. Once he arrived home, Alvarez attempted to fake a robbery by smashing the rear window of the Volkswagen with golf clubs from his parents' home, police said. Alvarez told police he couldn't do it and called 911, telling them that he had just struck a pedestrian and wanted to know if he should return to the scene, the report said. Police said he was instructed to do so and turn himself in to police. Alvarez was arrested on charges including leaving the scene of a crash, DUI manslaughter, serious bodily injury to another and DUI causing damage to property or person.